The Puerto Rico Firefighters Corps —Spanish: Cuerpo de Bomberos de Puerto Rico (CBPR)— is the statewide fire department that provides fire protection, rescue, and protection from other hazards in Puerto Rico. It was established in 1942 under the Puerto Rico Fire Services. In addition, it offers fire protection services to all the airports under the authority of the Puerto Rico Ports Authority, including the Luis Muñoz Marin International Airport, Rafael Hernández Airport, and Mercedita Airport and they serve as crash rescue divisions. A separate agency, the Puerto Rico Medical Emergency Corps, provides emergency medical services to all Puerto Rico. 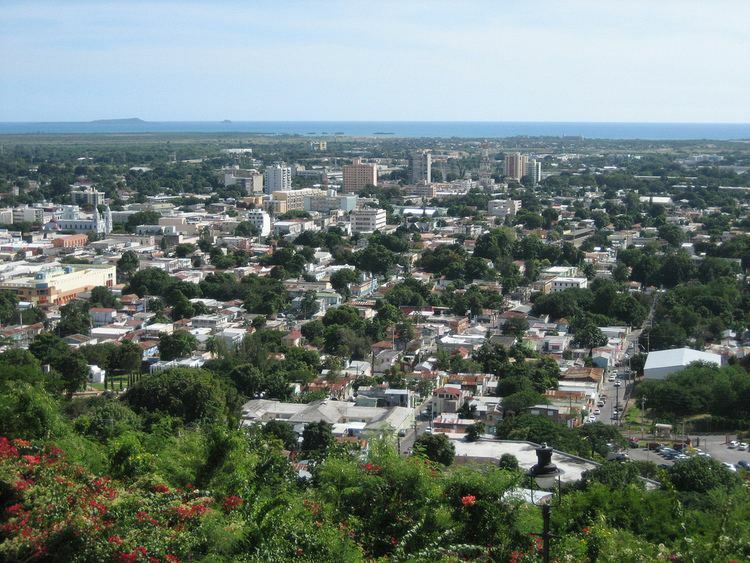 Puerto Rico firefighters have their origins in the southern town of Ponce. In 1823, Spanish Governor Miguel De La Torre, became deeply concerned by a large fire that occurred in Ponce, on February 27, 1820. This fire almost destroyed the town. As a result, it became mandatory for every male between 16 and 60 years to be a volunteer firefighter. Firefighters at this time had to provide their own fire-fighting tools such as picks, shovels, and buckets. Unfortunately, this first fire corps saw its decline once Governor De La Torre left his post. Another major fire occurred in the Playa de Ponce sector of Ponce in 1845. This moved the Conde de Marisol, ruler of the island at that time, to create a new voluntary fire-fighting organization. In 1862, under the auspices of the mayor of Ponce, Luis Quijano Font, the fire corps was reorganized as The Fire Services and Thomas Cladellas was appointed Fire Chief. In 1879, the Fire Services reorganized again, this time under the leadership of Ponce architect Juan Bertoly. Finally, Puerto Rico's fire fighting force reorganized in a more permanent manner in 1883 while Maximum Meana was mayor of Ponce. It consisted of 400 firefighters. Its officers were Julio Steinacher, Juan Seix (Senior Chief), Oscar Schuch Oliver (Second Chief), and Fernando M. Toro (Head Brigade and Charge of the Academy of Gymnastics). On January 25, 1899, Pedro Sabater and Rafael Rivera Esbri, were among a group of firefighters fighting a fire in the U.S. powder magazine barracks, near today's Ponce High School in downtown Ponce. There were stored at that location large quantities of bullets, ammunition, and gunpowder. Had the fire reached this munition depot, it would have surely destroyed the whole town. These heroes saved the lives of many people and saved the town of a conflagration. In 1918, the Mayoral brothers built the first motorized pump in Puerto Rico, using the chassis of a Pope Hartford. In 1930, Raul Gándara joined the Ponce Fire Service as Lieutenant; he would later become Puerto Rico's first Fire Chief. In 1942, the Puerto Rico Legislature passed Act #58 of May 9, 1942, also known as "The Fire Service of Puerto Rico Act", in which the Puerto Rico Insular Fire Services was created. The governor of the island at the time, Rexford Guy Towell selected Raul Gandara as fire chief. Mr. Gandara was, at the time, captain of the Ponce Fire Corps. Later, in 1953, it was called the Puerto Rico Fire Services, because of the new formed Commonwealth of Puerto Rico. By that time, they were using Mack trucks bought from the United States, specialized for fire extinguishing. On December 9, 1993, Law #58 was amended and it was called until this day as the "Cuerpo de Bomberos de Puerto Rico". On May 12, 2010, Carmen I. Rodriguez Diaz became the first woman in the history of the Cuerpo de Bomberos to become Chief of the CBPR. This program provides firefighting, rescue and emergency and disaster situations, protection from natural disasters and coordinates interaction with other agencies in operations. It also handles emergency calls in situations of accidents, disasters and hazardous materials spill. As a secondary responsibility to attend the Fire Prevention program acting as a preventive nature, as is the education of young people of school age, "Bomberito" program, guidance on areas and sites of assembly and inspection and elimination of fire hazards and research to determine the origin and causes of these. The 9-1-1 Emergency System, which centralizes emergency calls and faster response to the call of the community. It serves the people in general throughout the island. This program has the responsibility to develop and implement measures to eliminate fire hazards and educate the community about them. It is also responsible for inspecting industrial, commercial, commercial, institutional, residential, educational workshops, stores and meeting places to ensure compliance with the rules and basic requirements of fire prevention. Under Law 148 of 22 December 1994, empowering the charge for inspection services, reading and endorsement of plans as well as community education on preventive measures and use by the Fire Corps of proceeds. This program is responsible for planning the work that will fulfill the public policy of the Fire Corps, provisions of its organic law, the Governor's executive orders and other mechanisms to safeguard life and property. It also establishes the procedures to provide management support to implement the planning process and implementation of operational activities of each program. Serves all employees of the Agency to other programs and other government agencies. This program provides accounting, budget, procurement, audit, general services, mail, human resources, information systems, legal, public relations and transportation. This program is located the office of Fire Chief. In establishing this public policy, manages and supports other operational program. The "Division de Operaciones Especiales" (DOE) (Special Operations Division) is responsible for incidents that require specialized equipment or the emergency is one of nivelcritico for the population, such as large-scale fires, fuel spills or hazardous materials, landslides, searching for people in rubble, among others. All 6 Fire Corps zones have a Special Operations Division station. Your staff is chosen not only for their years of service, but also for their physical and mentales. Every member is trained in fire and accident prevention, search for people in debris, use of specialized equipment, hazardous materials, among others. The Puerto Rico Fire Corps was reorganized in Puerto Rico through General Order 98-1. Under it there are six (6) operational areas located in Aguadilla, Arecibo, Carolina, Caguas, Ponce and San Juan. We also, with eleven (11) districts located in: San Juan, Bayamón, Carolina, Rio Piedras, Caguas, Humacao, Ponce, Guayama, Mayagüez, Aguadilla and Arecibo. The districts will respond to 91 fire stations island-wide are also considered additional District Special Operations Division, which performs functions such as fire-rescue and "First Response" with the ambulance service and medical emergencies. The Aguadilla Fire Corps area is composed of the districts of Aguadilla and Mayagüez. The district is composed of the stations Aguadilla, Ramey, Aguada, Añasco, San Sebastian, Moca, Rincon and Isabela. It also is composed of the fire divisions of the Ramey Regional Airport and the Aguadilla Special Operations Division or D.O.E. in Spanish. The Mayagüez fire district is composed of the stations of Mayagüez, Las Marias, Maricao, Hormigueros, Cabo Rojo, Boqueron, Lajas, Sabana Grande, San German and the Rosario neighborhood. The Arecibo Fire Corps area is composed of the districts of Arecibo and Barceloneta. The district of Arecibo is composed of the stations Arecibo, Camuy, Castaner neighborhood, Lares, Hatillo, Angeles neighborhood, Utuado and Quebradillas. The Barceloneta Fire Corps district is composed of stations Barceloneta, Ciales, Florida, Manatí, Morovis and Vega Baja. It is also the operational area for D.O.E. located at the Barceloneta firehouse. The Caguas Fire Corps area is composed of the districts of Caguas and Humacao. The Fire Corps District of Caguas is composed of the stations Caguas, Gurabo, San Lorenzo, Cayey, Aibonito, Cidra and Aguas Buenas. Is also the district house for the Caguas D.O.E. area. The Fire Department District of Humacao is composed of stations Humacao, Buena Vista, Ceiba, Naguabo, Las Piedras, Yabucoa, Maunabo and Juncos. The Carolina Fire Corps area is composed of the districts of Carolina and Rio Piedras. The Carolina fire district includes the municipalities in the northeast area of Puerto Rico with the stations Carolina, Loiza, Canóvanas, Rio Grande, Luquillo, Fajardo, Vieques and Culebra. It is also the home for the Luis Muñoz Marin Aircraft Search & Rescue unit. The Rio Piedras fire district covers the southern half portion of the San Juan city limits and the town of Trujillo Alto. Is composed by the stations Rio Piedras, Trujillo Alto, San Jose and Puerto Nuevo. The Rio Piedras station is the busiest station in all of Puerto Rico. The Ponce Fire Corps area is divided into the districts of Ponce and Guayama. The Ponce fire district covers the central and southwestern part of Puerto Rico. It is composed of the stations Ponce Central, Ponce Playa, Ponce El Tuque, Villalba, Juana Díaz, Jayuya, Guanica, Adjuntas, Peñuelas, Guayanilla and Yauco. It's also the home of the Ponce D.O.E. area. The Ponce Fire Corps area saw 1,412 fires in the first 6 weeks of 2011. 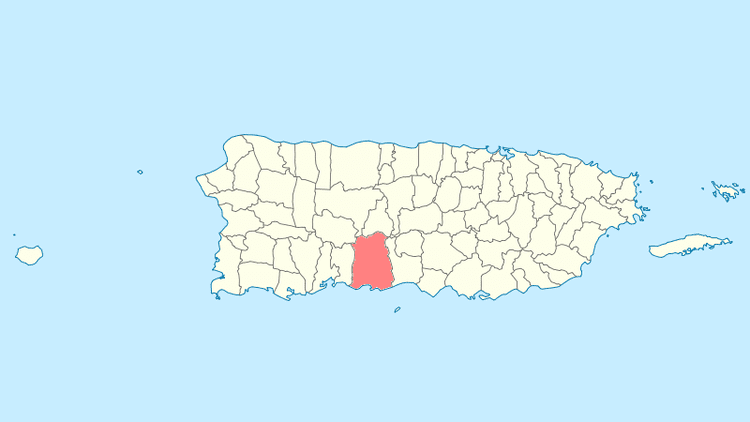 The Guayama fire district covers the south and southeastern portion of Puerto Rico. Its composed by the stations Guayama Central, Guayama Hostos, Salinas Central, Salinas Coqui, Santa Isabel, Coamo, Arroyo and Patillas. The San Juan Fire Corps area covers the northern portion of the city of San Juan and the northern half of Puerto Rico, from San Juan to Vega Alta. It is divided into two fire districts: San Juan and Bayamón. The San Juan fire district its composed by the stations San Juan Metropolitan (Metro), Barrio Obrero, Cataño, Guaynabo and Hato Rey/D.O.E. Metro. The Bayamón Fire District its composed of the stations Bayamón, Toa Baja, Toa Alta, Naranjito, Dorado, Comerio, Barranquitas, Orocovis, Corozal and Vega Alta. On the evening of December 31, 1986, a group of employees of the Dupont Plaza Hotel in the San Juan tourist district placed opened cans of a flammable liquid commonly used in chafing dishes in a storage room adjacent to the ballroom on the ground floor of the hotel. The employees then ignited the flammable liquid, but the fire quickly burned out of control; then, the fire stated to burn the second floor where the casino was packed of people; and then, thick black smoke covered the rest of the floors. And to make matters worse, the hotel was filled of American tourists and local citizens. Around 3:40 p.m., the nearest firehouse, the San Juan Metropolitan Station received the first call. Later on scene, 14 fire trucks, more than 100 firefighters and 35 ambulances responded to the call. Later that evening, 4 helicopters including National Guard and State Police started airlifting people from the roof top of the hotel to the beach on the back of the hotel. In the end, 97 people died. Most of them died of smoke inhalation, others died burned beyond recognition, and 140 people were injured. The cause of the fire was criminal arson, because of economic problems between employees and employers. This made the Dupont Plaza Hotel arson the most deadly fire In Puerto Rican history. On October 23, 2009, at 12:23 AM, seven oil storage tanks from the Caribbean Petroleum Corporation (CAPECO) in Bayamón, Puerto Rico, exploded causing an expansive wave from the epicenter into a five-mile radius. Puerto Rico Fire Corps units from the towns of Bayamón, Cataño, and Guaynabo arrived at the scene 15 minutes after the explosion. An hour later, fire units from San Juan, Toa Baja, and the municipal fire units from San Juan, Bayamón, and Carolina arrived to assist in what was considered to be the biggest fire explosion in Puerto Rico's history. The communities of Puente Blanco and Fort Buchanan were evacuated. The explosion was heard as far away as the town of Cidra. On the afternoon of the explosion, units from Ponce, Caguas, and Arecibo joined on the firefight. Governor Luis Fortuño declared a state of emergency on that area, and President Barack Obama separately declared a federal state of emergency in Puerto Rico, clearing the way for federal agencies to coordinate disaster relief and authorizing the use of federal funds. Personnel from the Federal Emergency Management Agency (FEMA), Bureau of Alcohol, Tobacco and Firearms (ATF), Federal Bureau of Investigation (FBI), the U.S. Chemical Safety and Hazard Investigation Board (CSB), and the Department of Homeland Security arrived in Puerto Rico starting October 24 to investigate the fire. The Puerto Rico National Guard was activated to help the local units with logistics in the area. The fire was contained two days later, on the night of October 25. Though there were no deaths, six people were injured including one firefighter who was affected by smoke inhalation. The cause of the explosion is still being investigated. However, many questions have surfaced and the investigation continues without a clear understanding of the events that night.